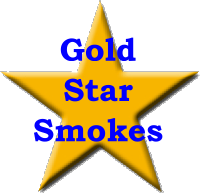 It’s been over nine months since the StogieGuys.com team published a new list of Gold Star Smokes. As you might recall, this special designation celebrates cigars that we feel are worthy of strong recommendations. They don’t necessarily have to be five stogie-rated—just commendable smokes we turn to time and again. In our previous two Gold Star Smokes articles, we’ve highlighted cigars like the Rocky Patel Vintage 1992 Torpedo, El Rey Del Mundo Robisto Larga, Punch Champion, EO 601 Serie “Green” La Fuerza, Montecristo Petit Edmundo, and the Cuban Crafters Cameroon Robusto. Today we select three more. The Blend 376 Robusto Extra from boutique manufacturer Isla de Cuba is a stunning cigar with an uncanny resemblance to an upscale Padrón. This box-pressed beauty features a full-flavored yet smooth taste of nuts, leather, and coffee and impressive construction. Don’t think twice about picking up this blend of Mexican, Honduran, and Nicaraguan tobaccos for about $7 apiece. Fuente makes some great smokes, including some exceptionally rare ones. My favorite, though, is the King B. This well-proportioned, cedar-wrapped torpedo is the best from Fuente’s impressive, under-appreciated Sun Grown line. With equal parts cedar, sweetness, and spice, it is both full-flavored and exquisitely balanced. And for around $6 each it punches well above its weight class. With a line that seems to encompass an endless array of vitolas, La Gloria Cubana’s Medaille d’Or No. 1 Maduro isn’t the easiest to find. But it’s worth the search. A long, thin cigar, it produces an array of flavors including earth, leather, and coffee. They’re also very reasonably priced; a box of 25 can be found for less than $70. None of my local shops carry Isla de Cuba – tried to contact the company but my email was returned. Any idea where to pick some of these up online? Here are a couple of suggestions. Isla de Cuba has a toll-free number you can try: 1-877-475-2101. The IdC Web site also lists retailers, so you might find one near you. Any number of online shops carry them. Two I know of are JR and Thompson. Good luck!